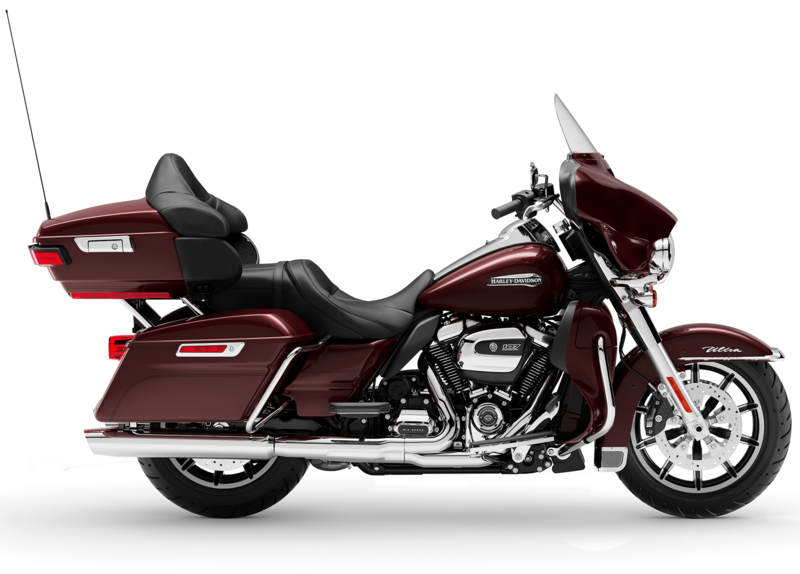 The 2019 Harley-Davidson® Touring Electra Glide® Ultra Classic® models are for sale at Latus Motors Harley-Davidson®. You'll find our local Harley® dealership conveniently near Portland, Oregon. Our Harley® dealer takes pride in helping riders of all levels to discover our comprehensive selection of 2019 Harley-Davidson® models for sale. If you need to crisscross the country or get to work on time, the Electra Glide® Ultra Classic® is everything you need. Under the fuel tank lives a Milwaukee-Eight® V-Twin Engine. Riders will appreciate the high-performing suspension, Reflex Linked Brembo® brakes with ABS, and crisp throttle response. Visit us from Salem, Oregon to talk to our finance associates about your Harley-Davidson® finance application. We are eager to help you secure the motorcycle loan that will help you take home a new 2019 Harley-Davidson® Touring Electra Glide® Ultra Classic®! The Electra Glide® Ultra Classic® quickly distinguishes itself from other touring motorcycles thanks to its LED Fog Lamps, Boom! Box Infotainment System, Supreme Comfort for Two-Up Riding, and Daymaker LED Headlamp. You will immediately discover how the deep bucket saddle provides lasting back support during those long tours. Passengers also appreciate the comfortable backrest and armrests. The deep bucket is accentuated by a narrow neck that offers maximum back support. When you want a bike designed for hunting horizons, you want to glide along highways. An easily adjustable rear shock complements the high-performing front suspension. Climb into the saddle and devour asphalt. If you've been thinking about finally getting into a new Harley®, head to Latus Motors Harley-Davidson®. 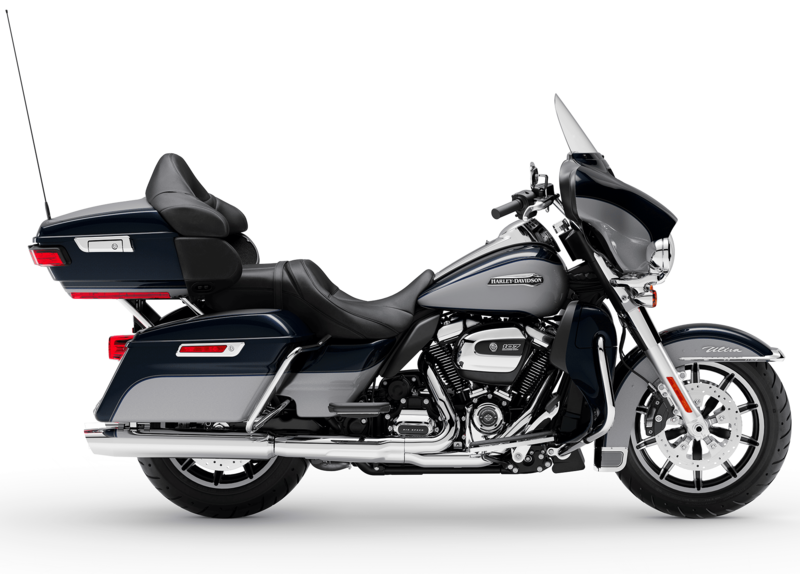 You are sure to enjoy the safety systems, jaw-dropping power, and comfortable riding features on the 2019 Electra Glide® Ultra Classic®! After you choose one of our new Harley-Davidson models for sale, it might be time to part with your current ride. If that's the case, you can trade in your motorcycle at the time of purchase. 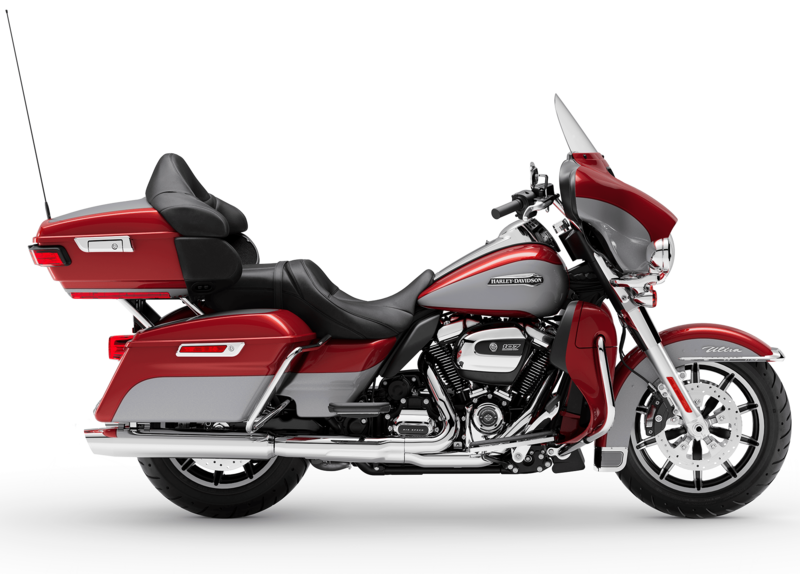 Push the limits of the horizon in the saddle of a new Electra Glide® Ultra Classic. Seat Height, Laden 7 27.4 in. Languages "English (US/UK), German, Spanish (Mexico/Spain), French (Canada/France), Italian, European Portuguese"
Voice Recognition Languages: Phone functions only "English (US/UK), German, Spanish (Mexico/Spain), French (Canada/France), Italian, European Portuguese"
Voice Recognition Languages: Tuner/Media/Navigation "English (US/UK), German, Spanish (Mexico/Spain), French (Canada/France), Italian, European Portugese"
Text-to-Speech (TTS) Languages "English (US/UK), German, Spanish (Mexico/Spain), French (Canada/France), Italian, European Portuguese"
Vehicles depicted may differ from vehicles manufactured and delivered. Specifications and prices listed may differ from specifications and prices of vehicles manufactured and delivered. All product descriptions (including depictions, specifications, dimensions, measurements, ratings, and competitive comparisons) are based on available information at the time of publication. Although such descriptions are believed correct, errors and changes can occur, and complete accuracy cannot be guaranteed. Harley-Davidson® may make changes at any time to prices and specifications, and may change or discontinue models, without notice and without incurring any obligation.Attention: Vehicles in the configurations shown and many of the accessories described in this catalog may not be available for sale or use in some locations. Please check with your dealer for complete product details and the latest information. All models feature 6-speed transmission (V-Rod™ models and Sportster® models are 5-speed) and carbon fiber belt final drive; multi-plate clutch with diaphragm spring in oil bath; and 2-year unlimited mileage warranty.